The time has come for us to revisit the Ultimate Edition, as the portable version marked as v4.5 doesn´t work all that well, and it is necessary to return to the original installation. In the new Ultimate Edition 6 modifications remain, which I have personally chosen as to not lose the original spirit of Heroes of Might and Magic 3. 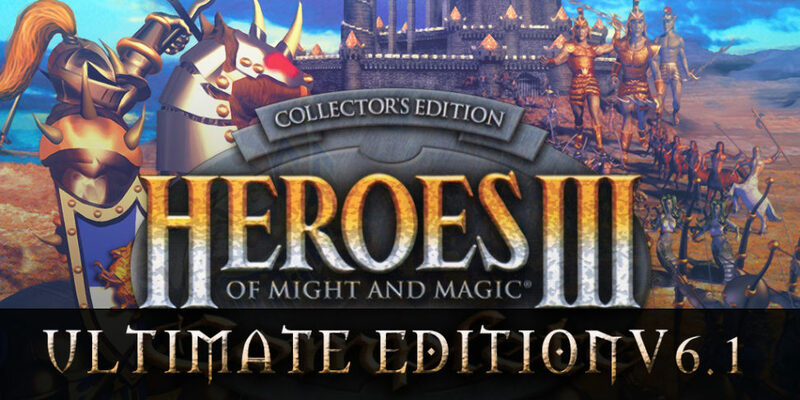 For the installation, it is required to own an original version of Heroes 3 Complete, no internet rip, ideally the version from GOG.COM. Slovenskú verziu článku nájdete tu. Download the archive of necessary modifications from this page. Similarly, in the destination C:\GOG Games\HoMM 3 Complete\, install the necessary modifications in this order 02_(Platfmors) WoG Revise.exe, 03_(Gameplay) XXL.exe, 04_(interface) Advanced Battle Hints.exe, 05_(Interface) Upgrade ALL.exe, 06_(Graphics) Morn Battlefields.exe, 07_(Gameplay) Delete Prisons.exe. 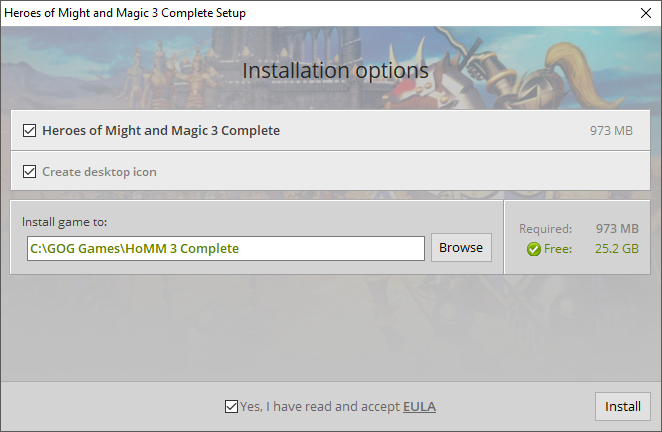 If you followed the steps correctly, Mod Manager will look similar to that on the picture (if you couldn´t find the Mod Manager, it is localised in folder C:\GOG Games\HoMM 3 Complete\Tools\Mod Manager\ and you can launch it by double-click on mmanager.exe). Move modification WoG Revised, on second place with the help of buttons Move up/ Move down, so it´s on the same position as shown in picture below. Everything is ready for launched, other modifications can be added if needed. You can launch the game from desktop by double clicking the Era II. 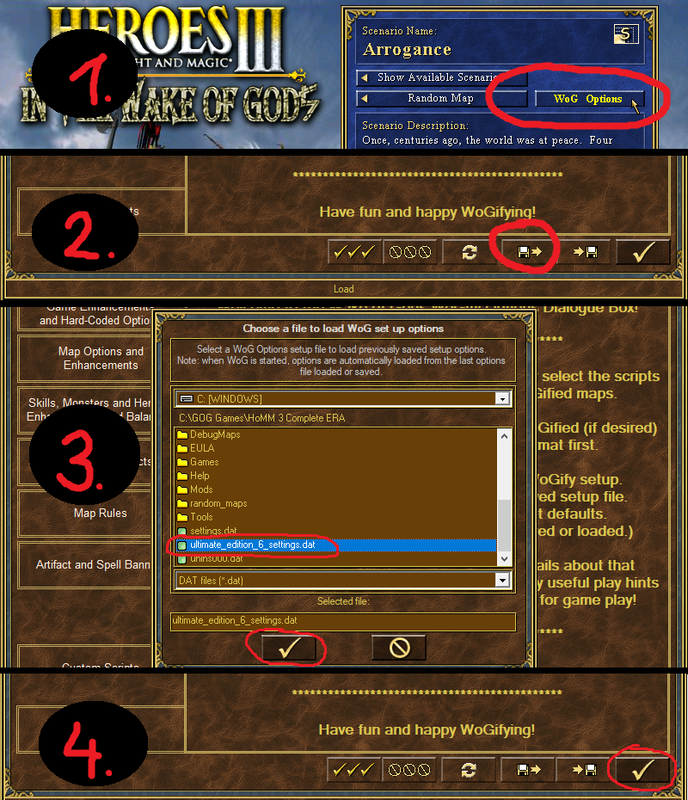 Recommended Wog Options – if you can´t decide which WoG settings to use, in the folder there is a file ultimate_edition_6_settings.dat, which you need to copy into the folder with game, so in the C:\GOG Games\HoMM 3 Complete\ and load it directly in game, as shown in the picture. I chose such WoG settings, which don´t ruin the overall game and you´ll remain with the same Heroes 3 feeling. 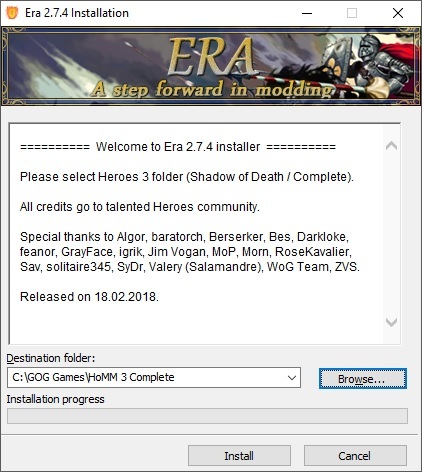 ERA 2.7.5 – modification of Heroes 3 Complete which already includes WoG. 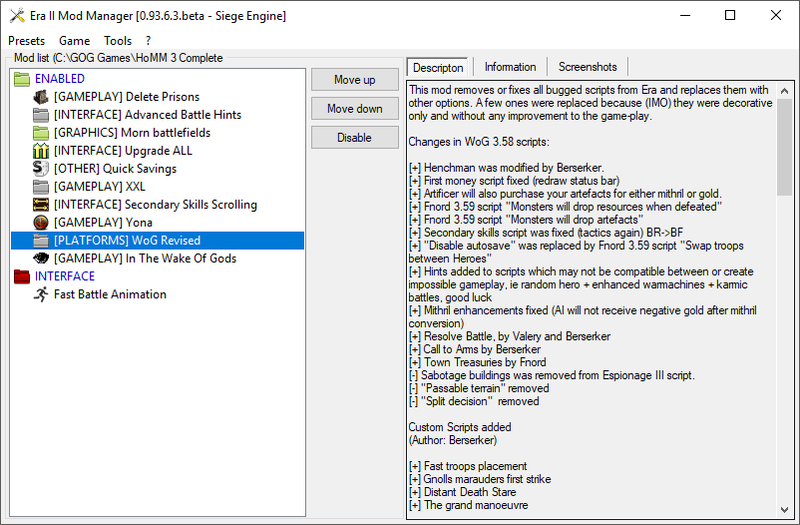 It originated as its more complex and easier to use alternative, so anyone could easily add and manipulate mods. Morn Battlefields – 120 new battlefields, which replaces the background of a battlefield. XXL Map Patch – It allows to play and created gigantic XXL maps in WoG format. WoG Revised – it fixes or removes faulty scripts of WoG, adds some new additions, for example. Resources after kill of units, some units are capable of wielding an artefact, etc. Please help me, what should I do? The H3 works, just Wog doesnt. Hi Joana, you need to set up the compatibility of the file h3era.exe to Windows 8 and everything will function as supposed.